Metallic Holiday Booties Just $27.99! Down From $70! Shipped! 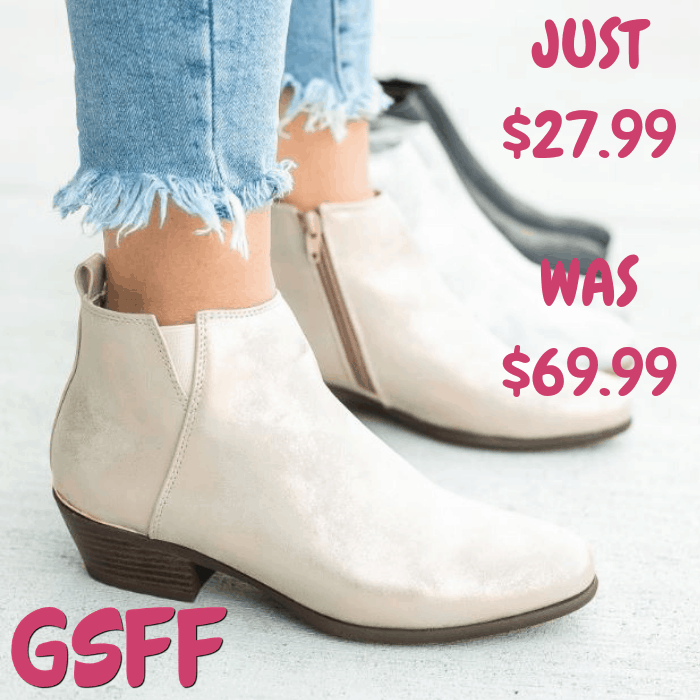 You are here: Home / Great Deals / Metallic Holiday Booties Just $27.99! Down From $70! Shipped! Until December 11 only! Jane has this Metallic Holiday Booties on sale for just $27.99 down from $69.99 PLUS FREE shipping! Complete your holiday look in these metallic holiday booties! They are made with metallic faux leather that features a shimmery shine that we are just absolutely in love with! The booties also feature a closed/almond toe, side zippers, and approx. a 1″ stacked heel. Complete the look in anything from jeans to dresses!